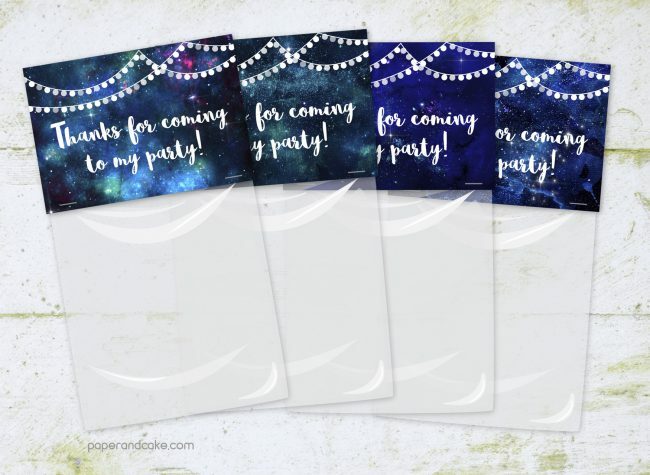 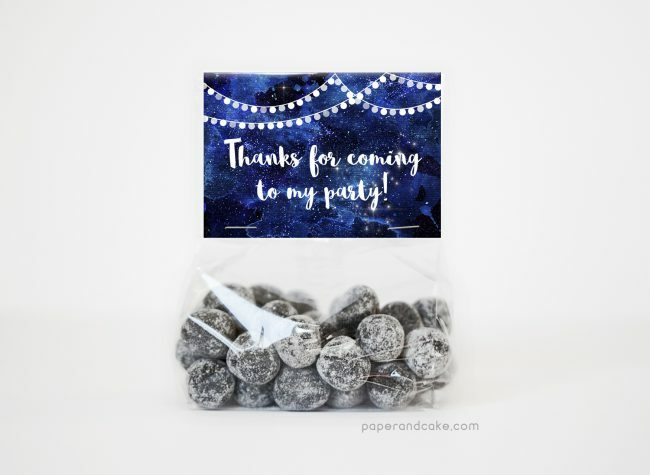 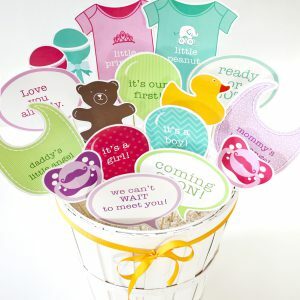 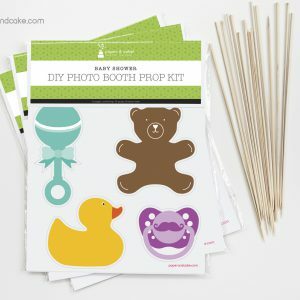 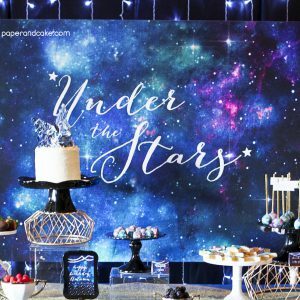 Host an Under the Stars Party with our galactic Party Favor Kits, that read “Thanks for Coming to my Party”! 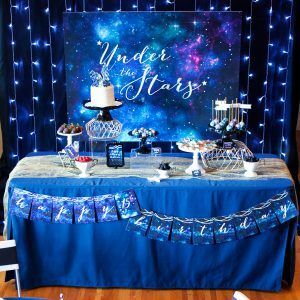 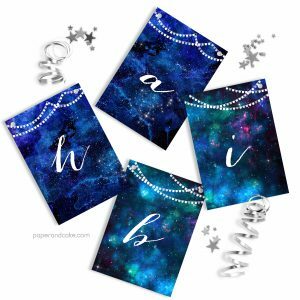 A ready-to-hang birthday pennant banner with a galactic starry sky. Deep blues and purples with white stars sprinkled in.